This past weekend I had the honor of throwing one of my best friends a baby shower. I opted to go for a circus theme. 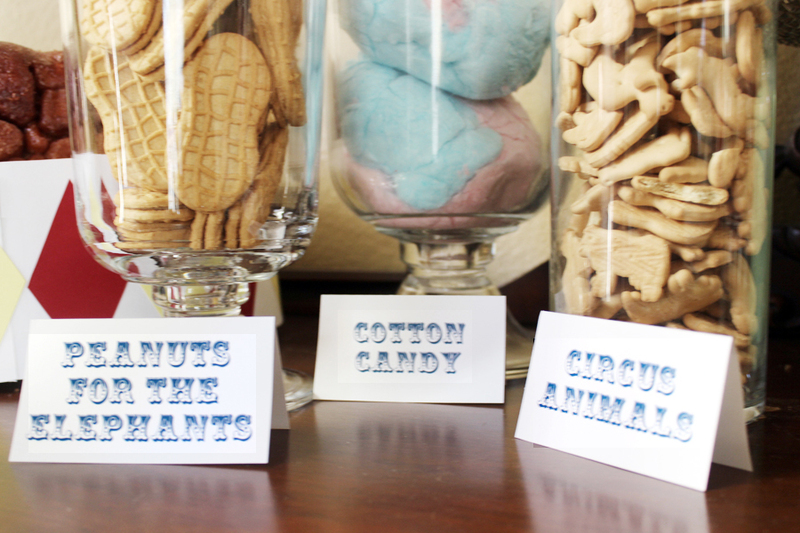 For the circus invitations, I used printable ones from One Charming Party. I printed wishes for baby cards in yellow from Lauren Makes. 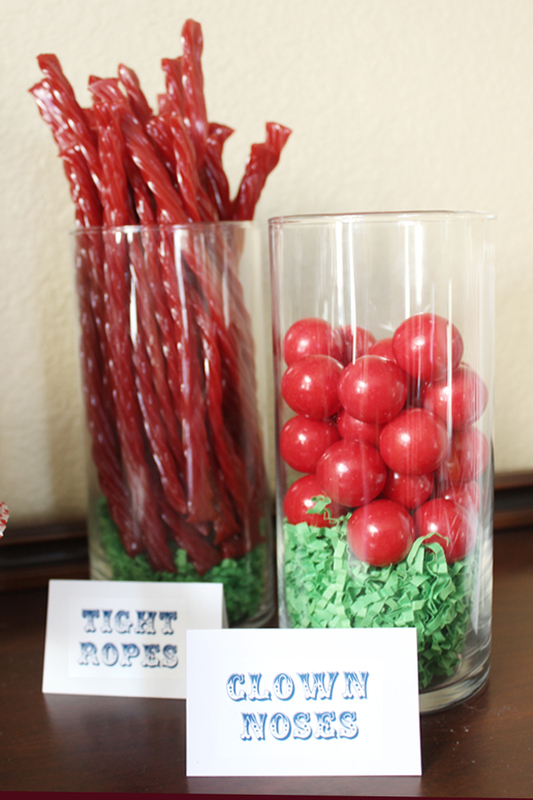 Had I thought ahead a little more I would have purchased Dr. Suess’s If I Ran the Circus and used it as a guestbook. I looked for one a couple of days before the shower at my local bookstore with no success. 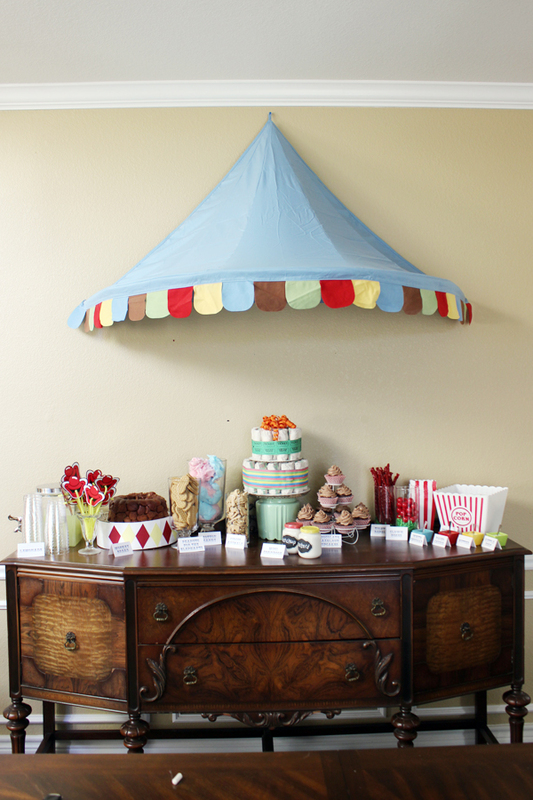 The big top above the buffet is actually made to go over a crib, so it doubled as a gift for mom and baby. Since I was hosting the shower away from home, I opted for an easy menu of mostly pre-made items and creatively renamed them to fit the theme. 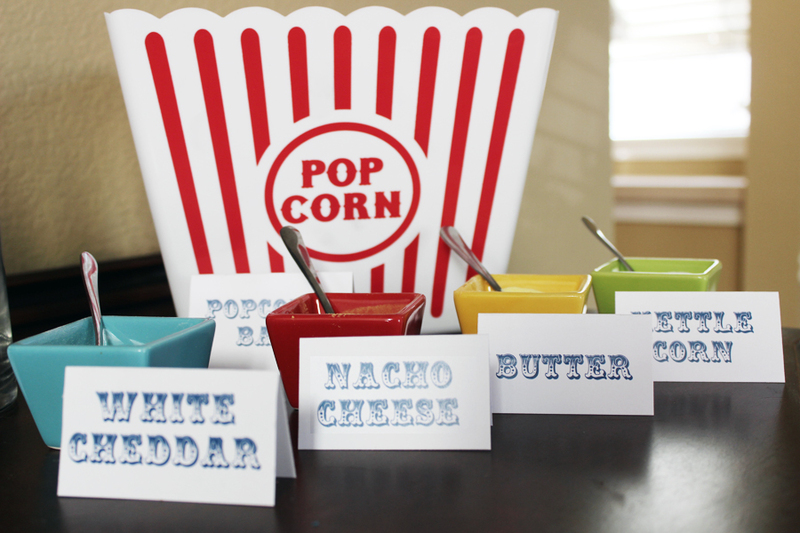 The menu included Nutter Butters, cotton candy, animal crackers, licorice, red gumballs, mini corn dogs on skewers, a popcorn bar, monkey bread, and cupcakes. Disappointingly, I left my Ferris wheel cupcake holder in Austin. 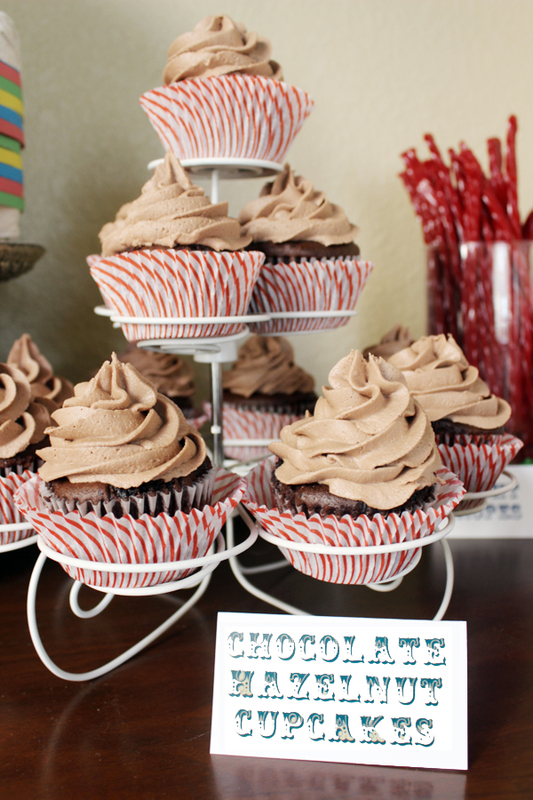 I made do with one my sister had left at my mom’s for my lingerie shower. 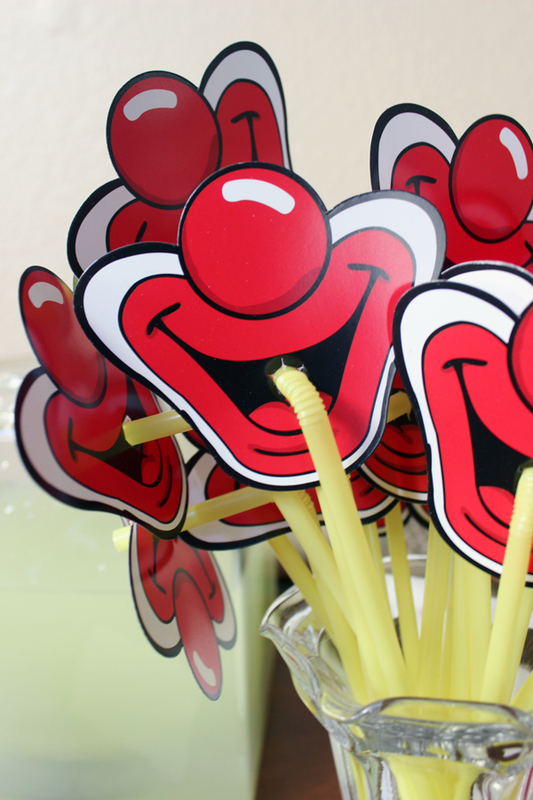 I found these amazing clown nose straw toppers at Hobby Lobby. 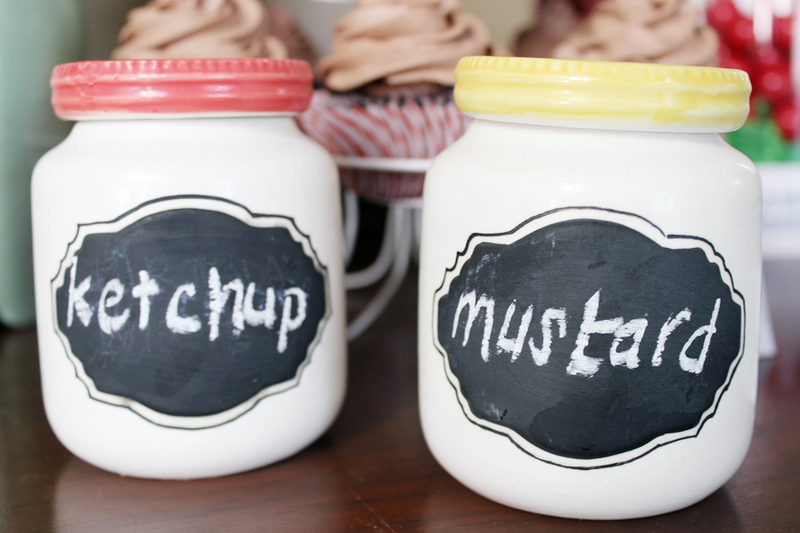 I used chalkboard jars from Anthropologie for ketchup and mustard for the mini corn dogs. 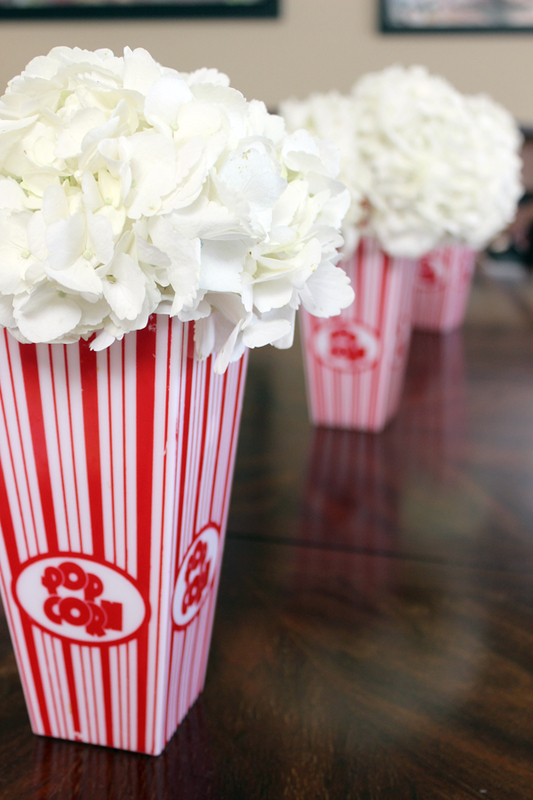 Placed in red and whited striped containers, Hydrangeas resemble popcorn. 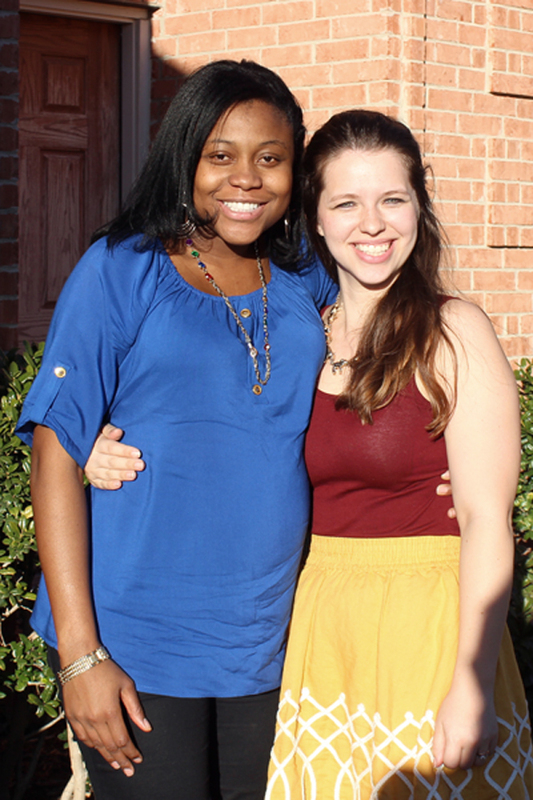 I almost forgot to get a picture with my friend, so we snapped a quick one, squinting in the sun, right as she was about to leave. Doesn’t the mom-to-be look great? She’s seven months along with just a bitty bump. My outfit was my best attempt at circus attire. You can’t tell, but my necklace is elephants “holding hands, by holding tails.” My brother got it for me for Christmas and I love it. I can hardly wait to meet baby Jonathan! Beautiful! I loved the centerpieces! 🙂 Thank you for stopping by my site too. This looks so great! It’s adorable! I wish we could throw parties everyday! It’s just so fun!